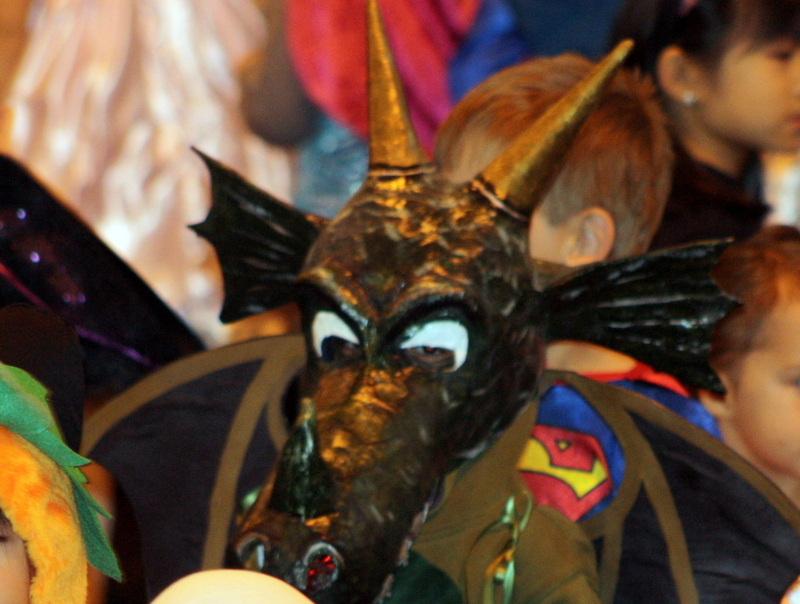 It seems that Halloween is not just for children. It gives us all a good excuse to relax, dress up and have fun. 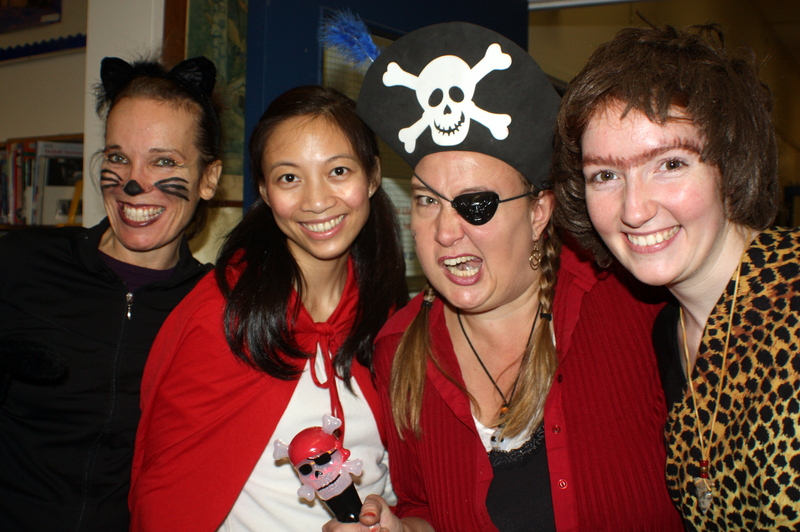 Every member of staff came to school as a different character, and almost all the children came in costume as well. 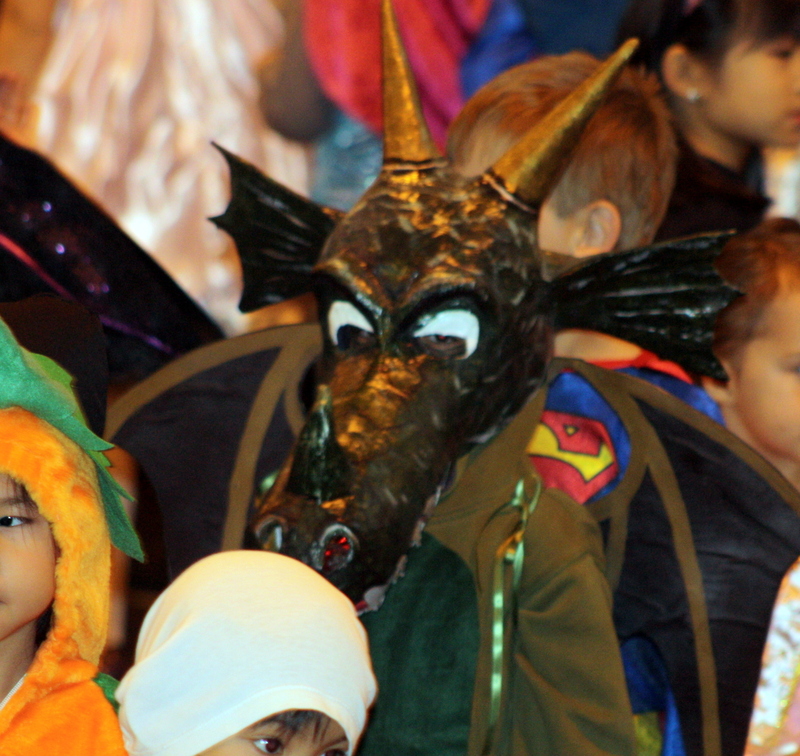 There were dragons, princesses, rather beautiful and definitely not evil, witches, fairies, characters from movies and so on. 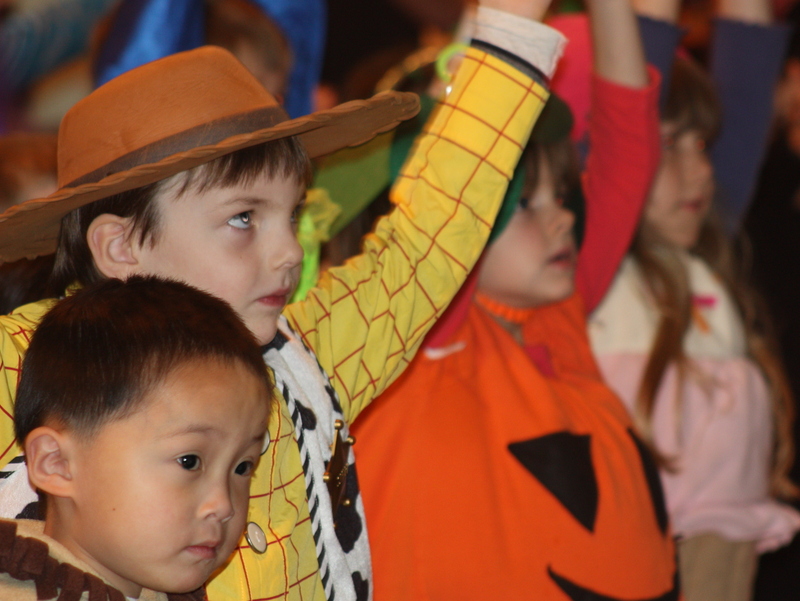 While our older grades chose some more sinister outfits, I was happy to see that there were few grim reapers and more cowboys, pirates and martial artists. Mr. Wu, an amazing professional dancer now teaching at our school, lead everyone in dancing to Thriller. 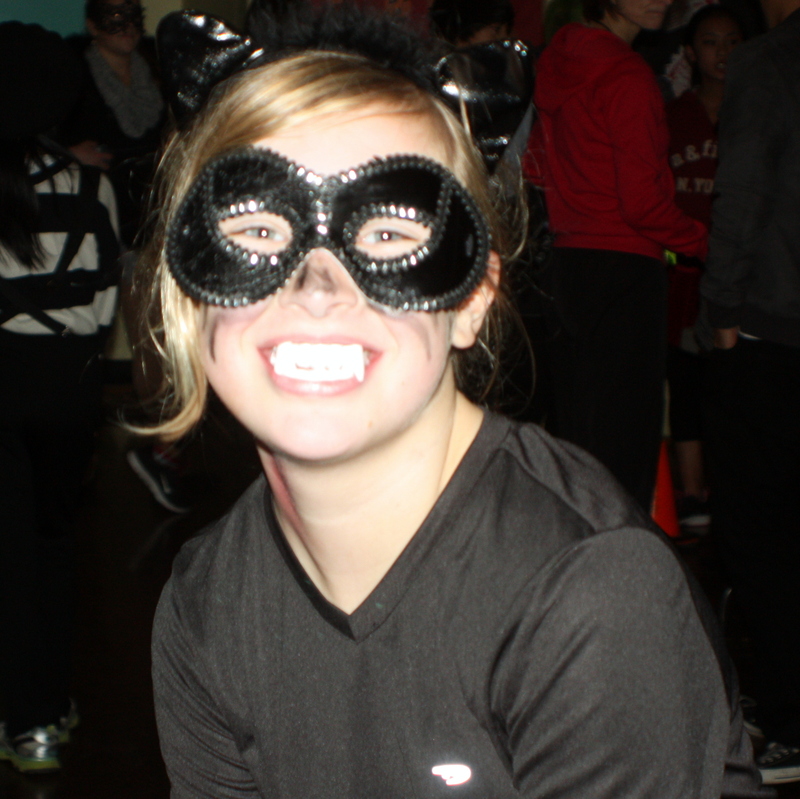 Grade 6 and 7 students had their own Halloween Dance which they organized. Well done, Emma and her student council team, for taking the lead and organizing this. They raised over$160 for the food bank plus about four boxes of canned goods. 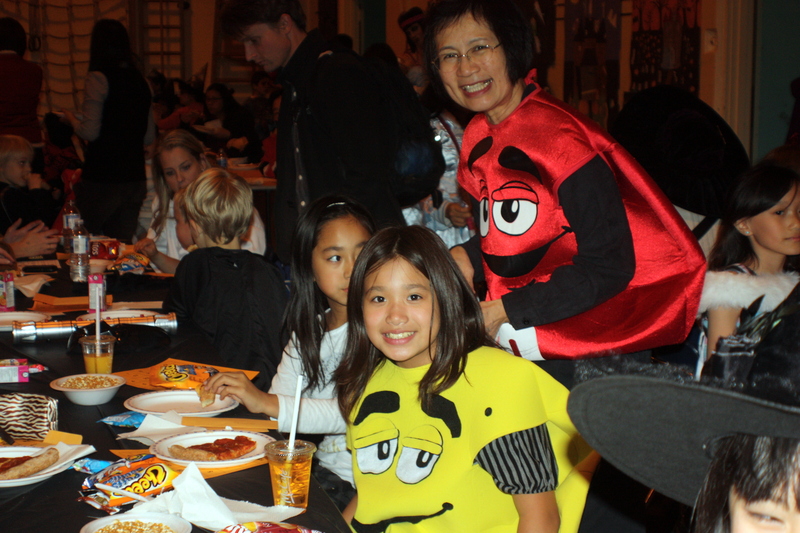 Parents had their chance at the festive Halloween Bingo, and of course the children were in their costumes too. Thank you very much to the organizing committee. 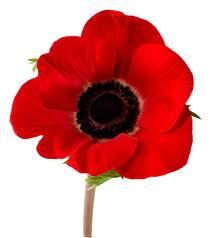 On Thursday we will have our Remembrance Day Ceremony. On this occasion we ask all students to dress smartly in black and white. We will provide poppies for them to wear on the day. All students will come to the gym in silence and we will sing songs and hear speeches that remind us of the reasons why we dedicate this day every year to remembering. Please help us by having your child wear black and white. 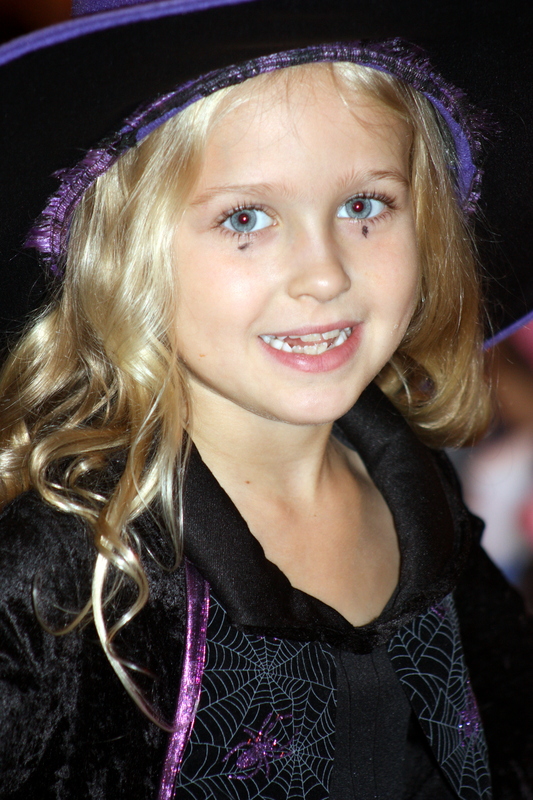 Members of organizations such as Scouts, Cubs, Guides, Brownies, Sparks, etc are asked to wear their uniforms. Most attended a meeting with regard to their participation in the colour party and will have brought a letter home about this. 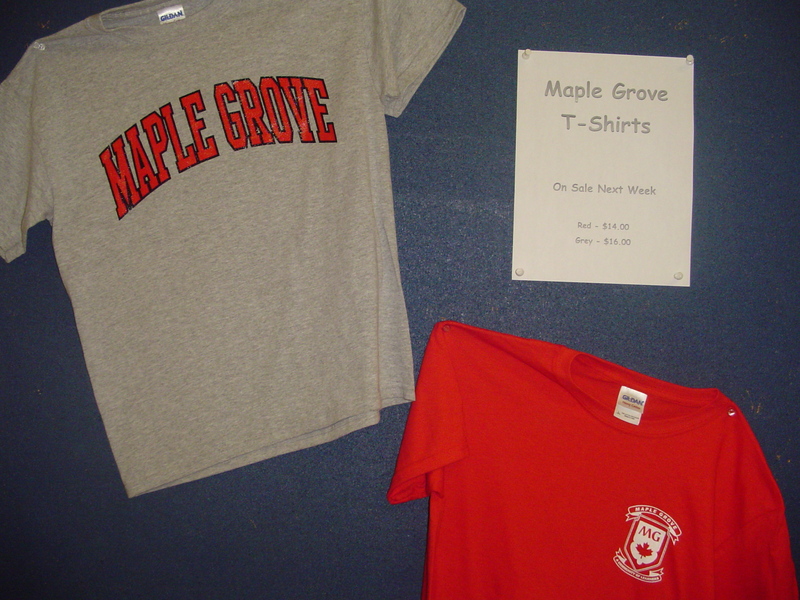 Starting this Monday, November 5th, order forms for Maple Grove T-Shirts will be available from the office and Mr. Munk’s room. There will be an opportunity for students to check for proper sizing of T-shirts each morning before school and immediately after school each day. Red T-Shirts are on sale for $14.00 while the Grey T-Shirts go for $16.00. Taxes included. Cheques can be made out to Maple Grove Elementary School. 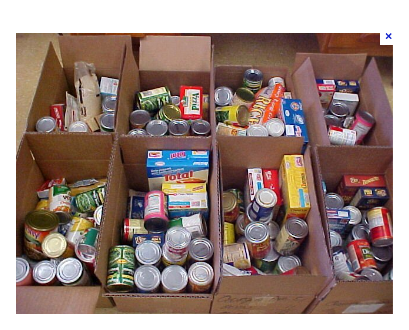 The Global Citizenship Club will be extending the Food Bank collection drive until Tuesday next week. We appreciate all of the donations that have already been given. 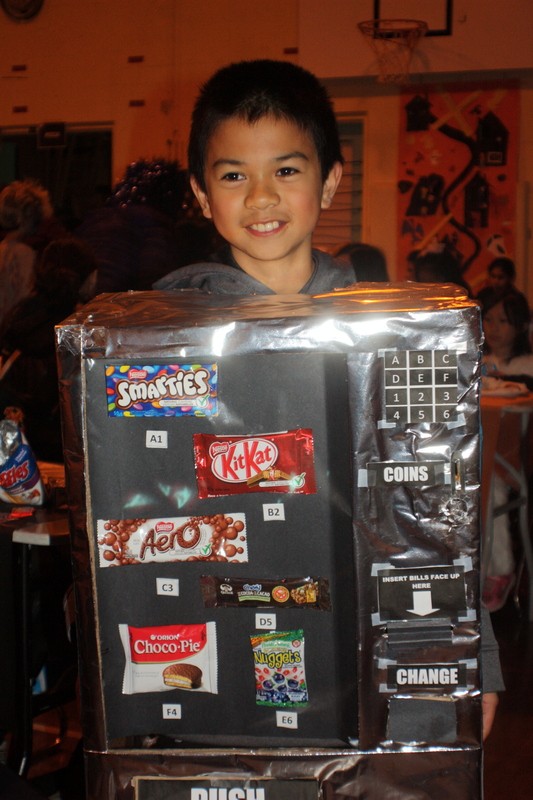 However, we are just short of our goal of collecting at least 10 boxes of food for needy families in Greater Vancouver. The Food Bank suggests items such as whole wheat pastas, canned beans, meat and fish, low-sugar cereal and bags of rice. At our “Giving Thanks” assembly we acknowledged our elected Student Council members. We wanted to recognize them for the hard work and responsibility that they take on as Student Council members. Each student representative received a pin which they can wear proudly to show that he/she is a member of Student Council. At our assembly we also reminded students that we are all part of a community together. 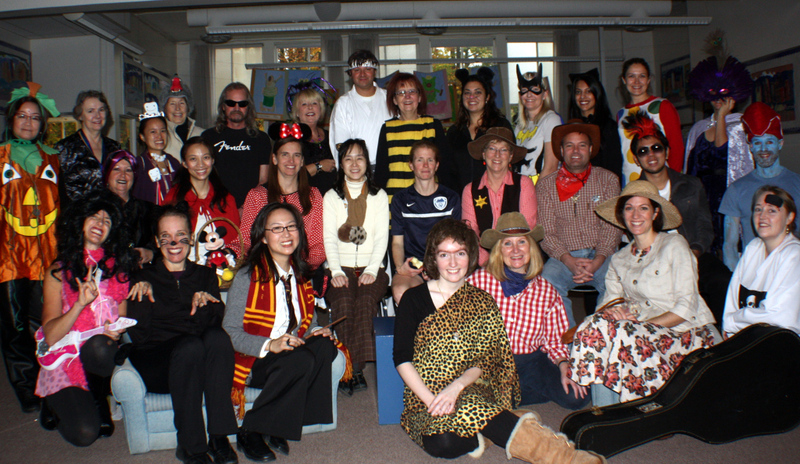 It is working together that makes Maple Grove a great school. We have determined that it is our expectation that all Grade 6 and 7 students, in particular, will contribute to the life of the school. Each Grade 6 student is expected to find 4 ways to give service and each Grade 7 students will find 5 ways to give service. One of the ways could be to an outside agency or even to a neighbour who needs help with yard maintenance. That person could then write a brief note to the school to let us know this was being done. Grade 6 and 7 students who fulfill our expectations will receive a Maple Grove service pin, silver coloured for Grade 6 and gold coloured for Grade 7. Choir will start on November 14th at 3:05 pm in the lunch room. 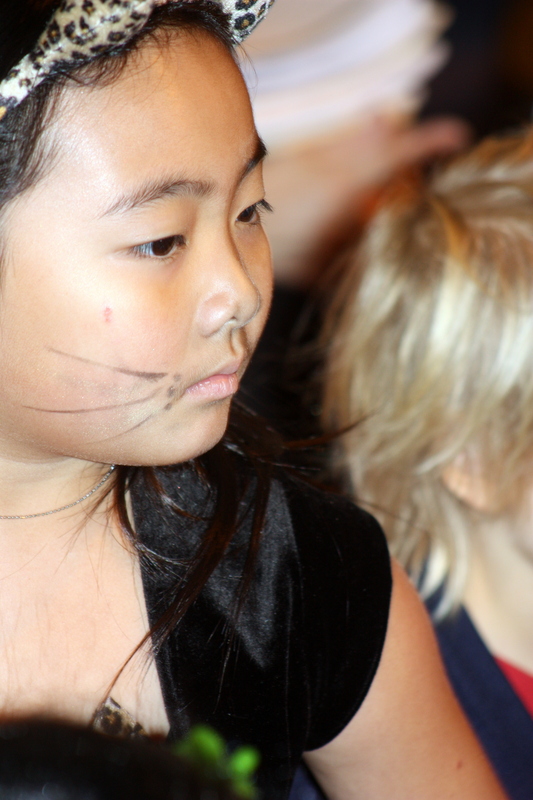 Students wishing to come to choir should be in Grade 3 or older. This is supported by PAC but there is also charge of $30 per student for the year. This is non refundable if the student drops out. Letters about choir may be collected from the office. Choir is a very valuable activity for all students as an opportunity to learn the English language, gain knowledge of music and poetry and participate in an uplifting activity. Choir members represent our school in many different ways. It has come to my attention that several of our Grade 6 and 7 students may have attended a dance at Dunbar Community Centre on the weekend. 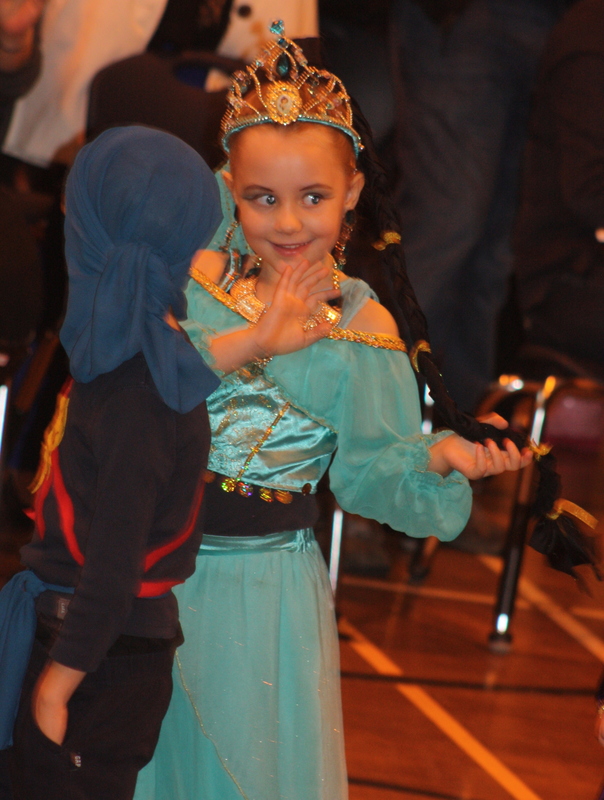 While some information that I have about this dance is second hand, and based on hearsay, I would recommend that parents check about the amount of supervision and the behavioural expectations at such events. 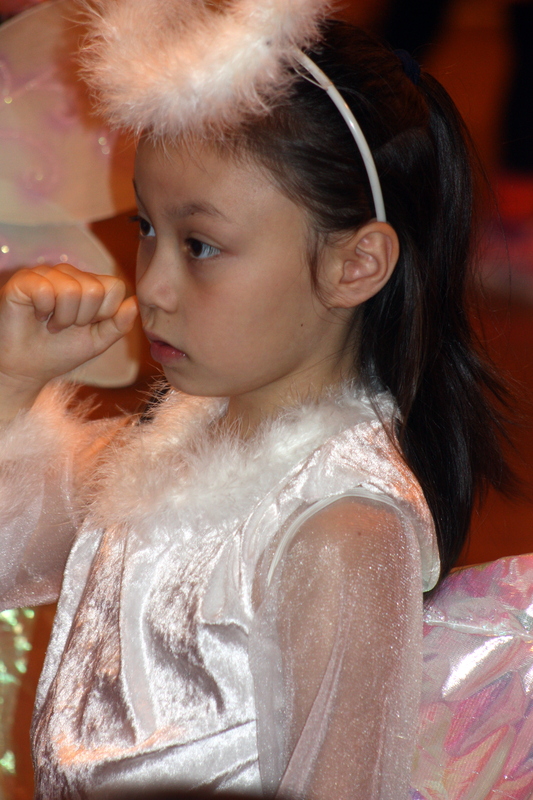 Several lunch time clubs have started. including origami, checkers, chess, math club etc. If you are interested in running a club for a small or large group of students, please let Mrs Sellars or Mrs Zeitz know. We have the materials to run a LEGO club, a robotics club, and a gardening club. Other possibilities include stamp collecting, birdwatching, reading circles, drawing club, mah jong, knitting etc. PAC and the Montessori Committee have been asking for donations to support the various enriching activities at the school. Making a donation in a timely manner means that you will get a tax receipt which will be applicable to the 2012 tax year. We are members of the global citizenship club and we had an amazing opportunity to attend Me to We day! Maybe you are not 100% sure what that is! Well, let us tell you! We and 27 students all headed down to Rogers Area where we met up with 20,000 other students from all over the lower mainland. bring people together and together we are strong! no matter what age you are or where you come from or what challenges you may have, you CAN change the world! 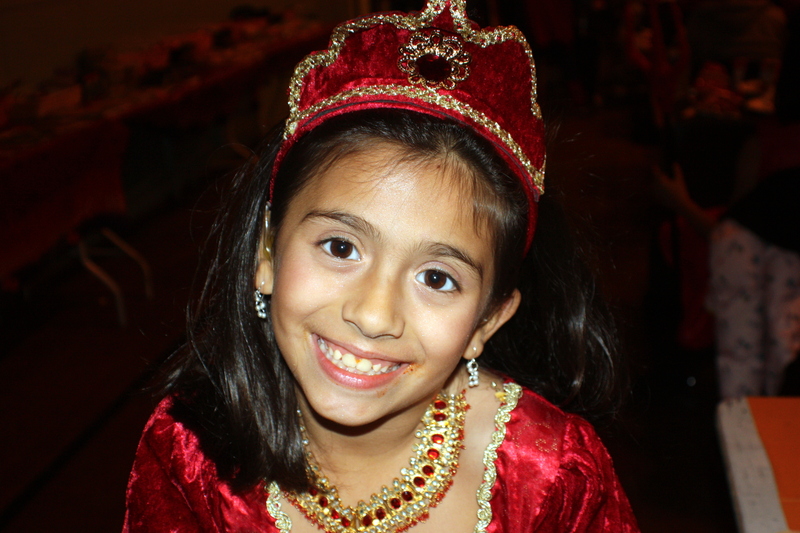 in the future we will be doing a penny drive to ensure clean water for everyone-so please start saving those pennies! The day was filled with inspiring people and amazing music too! We feel very fortunate to be able to attend this great event! We are the future and we all CAN be the change! The following are the dates for the next three PAC meetings. They are on the third Wednesday of the month. 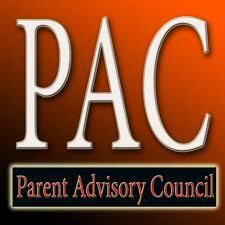 All PAC meetings start at 7:00 pm in the library. Baby sitting will be provided. Please plan to attend. This is a good time to get involved in discussions about how to make our school great or hear from a speaker about current issues of interest to parents. November 4 Remember to set your clocks BACK. Daylight Savings ends at 2:00 am on Sunday morning .